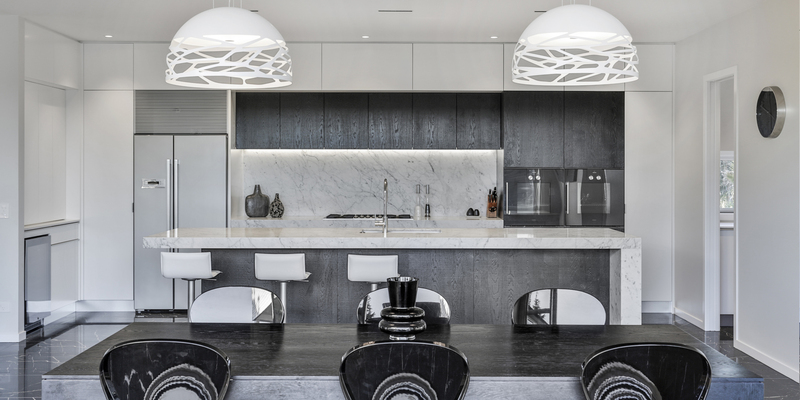 Kitchens By Design | Kitchen Design for Discerning Clients : Kohimaramara. 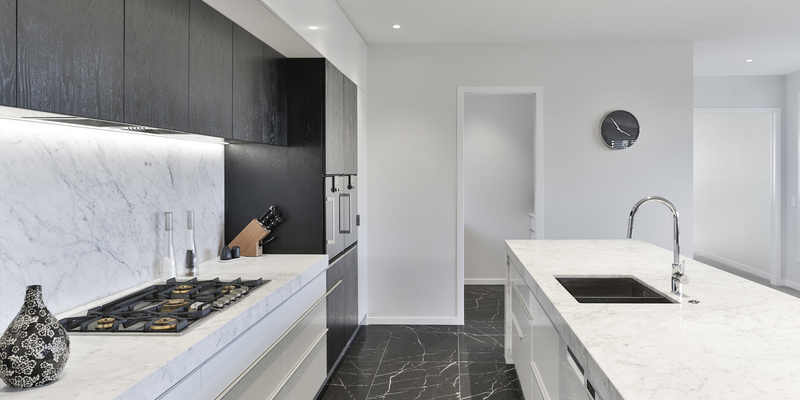 The homeowners of this new-build family home requested a large kitchen with impact. A clean and unfussy aesthetic was their goal; practical with a paired back colour palate. 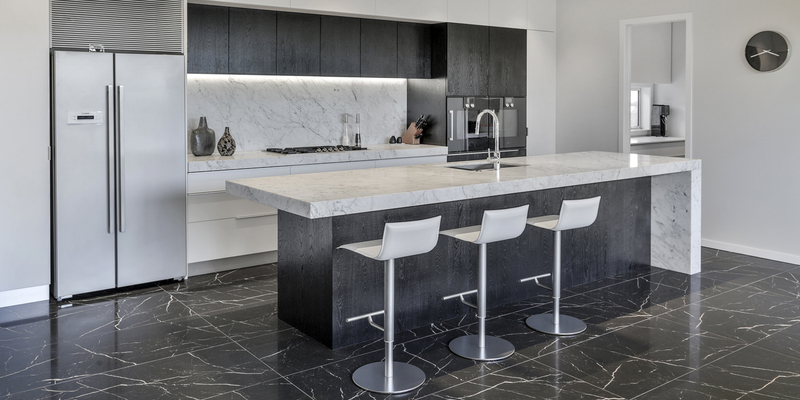 Carrara marble became the favoured benchtop material during the design phase, so this formed the basis for the palette of the rest of the kitchen – including it’s use as the splashback behind the cooktop. 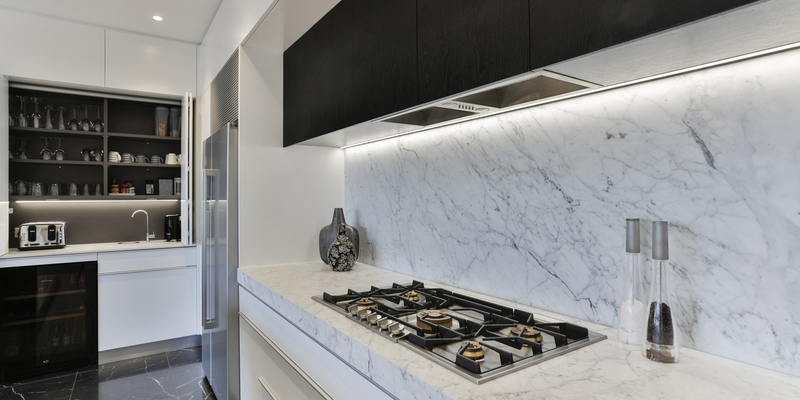 The cabinetry along the back wall was developed to meet various storage and functional requirements, including a tall cabinetry to store platters, china, and everyday pantry requirements. At one other end of the kitchen is a bar/breakfast area. Behind the folding doors is open shelving and boiling water tap. In the same bank of cabinetry is a wine cabinet below and glass storage above. At the other end of the kitchen is a walk-in pantry, containing a microwave, small appliances, and a cool drawer, plus cabinetry for bulk storage. 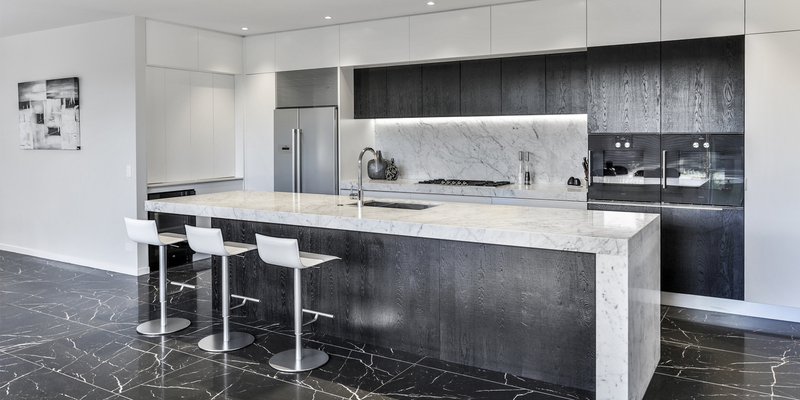 The colour palette of black marble-patterned floor tiles, white polyurethane cabinetry, white marble benchtop, and black-stained textured oak complement the overall look of the room. The addition of LED cabinet and ceiling lights completes the scheme.